Friday - Saturday: 11 a.m. - 11 p.m.
Homemade sauce with our secret mix of seasonings. Dough that’s made fresh every morning. Specialty meats and real mozzarella cheese. The sounds of crisp crust being cut into perfectly-sized squares. That’s what you’ll find in our kitchen at Sammy’s Pizza. Sammy’s in West Duluth opened in 1956 and is owned and operated by Mike and Pam Jerulle, along with their son Nick. Tony Jerulle and Rich Chalupsky, owners of Sammy's Pizza restaurants in Grand Rapids, Hibbing and International Falls, are also part owners of the restaurant. 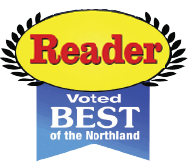 Our menu features award-winning pizzas, pastas, hot appetizers, subs, burgers, stromboli, broasted chicken, soups and salads. In 2015, PMQ Pizza Magazine, the pizza industry’s No. 1 publication, inducted Sammy’s into its Pizza Hall of Fame — which pays tribute to popular pizzerias in business for 50 years or longer. 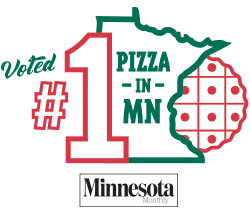 In 2018, Sammy's was also voted 'Best Pizza in Minnesota' in Minnesota Monthly Magazine's Pizza Bracket Challenge.